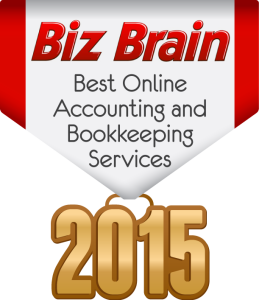 This is a ranking of the top 10 online bookkeeping and accounting services. As cloud technology continues to improve, many small businesses are opting to utilize services based in the cloud instead of those tied to physical locations. Online bookkeeping services can save companies money, as compared to hiring full- or even part-time employees. Many of these companies also provide services that go beyond just the mechanics of running your businesses finances. They will often provide budgeting, consulting, and advisory services that will help you streamline your company’s finances and create and realize future financial goals. The methodology we used for ranking these services is explained at the end of the article. Remote Books Online is, as its name reflects, primarily an online bookkeeping service. As such, it doesn’t offer as many of the comprehensive accounting and CFO solutions as other services on this list. 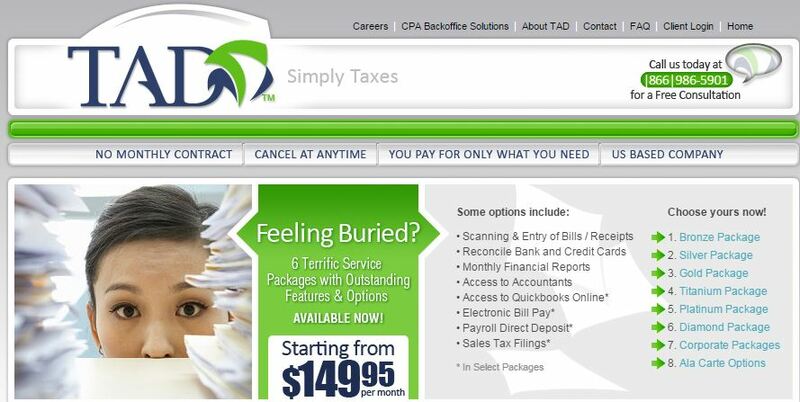 This service is a good choice for businesses that already have a CPA and are looking for an alternative to hiring an in house bookkeeper, or doing all the bookkeeping themselves. Remote Books online offers a suite of powerful bookkeeping services that can help your business stay on track. 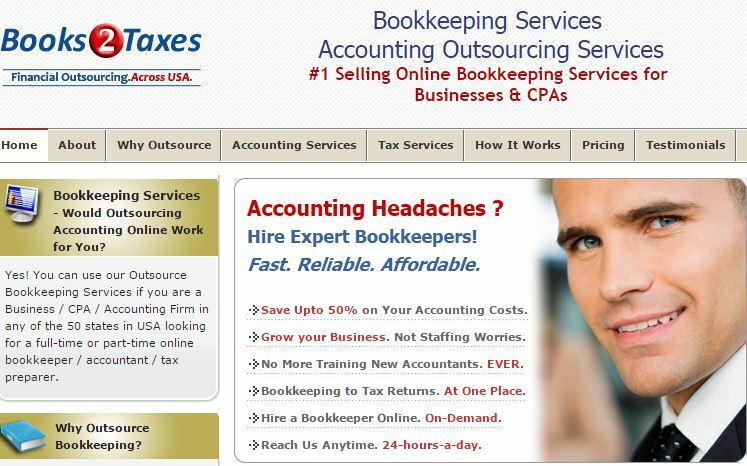 Books2Taxes is another online bookkeeping service that also offers strong support for tax preparation. The only real accounting/CFO service the company offers is a strong reporting feature. You do most of the accounting yourself, or hire a CPA to help with those aspects of your business and advise you on financial strategies. Books2Taxes is a great service for businesses just looking for help keeping their books in order. TAD Accounting offers almost every online bookkeeping service and many of the accounting services your business may need. If you are willing to pay for the highest level plans, the number of accounting and CFO services available to you go up, but you may want to price out handling bookkeeping and accounting separately as the most expensive plans are rather pricey. 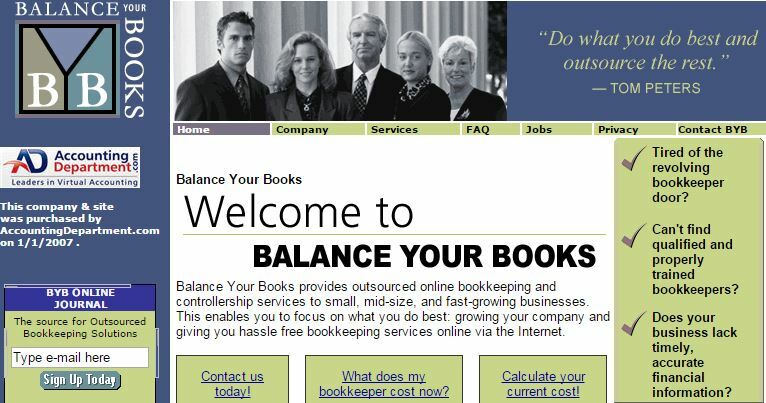 The online accounting and bookkeeping services offered by BalanceYourBooks are great options for your business. BYB offers two main services, bookkeeping, and controllership. The controllership service combines accounting, consulting, and financial planning services. Among the consulting services you will receive are: monthly discussion and analysis reports, customized financial reporting, and high level management consulting. The controllership service also includes all BYB bookkeeping services. While Virtual Bookkeeping Services offers many powerful bookkeeping tools, it is somewhat light on the accounting/SFO side. This online accounting service handles much of the mechanical aspects of accounting, but leaves you mostly on your own when it comes to budgeting and financial planning. You will want to have a CPA or financial advisor on standby if you aren’t comfortable handling those things yourself. Where VBS really shines though, is in the company’s ability to go through previous years of your company’s bookkeeping and straighten things out, while instituting best practices that will save your business money and save you time. Aixol Solutions presents itself as “the company CPAs recommend” and it’s easy to see why. 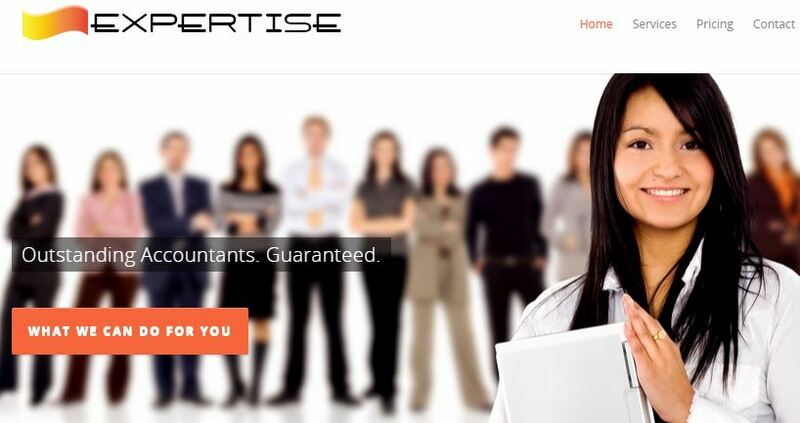 The only thing this company doesn’t seem to do is handle your accounting and bookkeeping software licenses. Otherwise it offers an impressive amount of features, including extensive CFO services. You will work with a CPA, banker, and attorney that exist to help you make the right financial decisions for your company. Expertise provides your business with everything you need to succeed. Bookkeeping, data entry, AP/AR management, up-to-the-hour reporting, and even internal auditing to ensure you aren’t vulnerable to IRS audits. Whether you need some, or all of the services offered by Expertise, they have plans that will meet your needs. Their pricing is a bit different, you pay only for the services you use, with hourly rates for bookkeeper, accountant, and CPA, you are charged only for how much you use each one. Ignite Spot claims they help entrepreneurs save over 230 hours per year. That’s close to six forty hour workweeks. We don’t know an entrepreneur that couldn’t benefit from having that amount of time freed up to focus on big picture planning, instead of struggling to keep up with the paperwork. Ignite also claims it helps customers increase profit margins by at least 10%, with come companies closer to 750%. Ignite’s teams strive to handle your books and accounts perfectly, so you can focus on your business. Growth Force gives you options. For instance, they can serve as your bookkeeper or your entire financial department. You can get just as much as you need from them, and be encouraged that they can grow with your business and your needs. As far as online accounting services go, Growth Force is certainly one of the most comprehensive on the market. Few cloud accounting services offer as much as Accounting Department. This company will act as your full-charge bookkeeper, and their online accounting services, and online bookkeeping services are second to none. The full range of services offered by Accounting Department might be overkill for some small businesses. However, if your business is looking for full service online accounting services, Accounting Department should be on your list. The methodology for ranking this list was simple. We took the ten most important features offered by online accounting and bookkeeping services, broke them into two categories (one for bookkeeping and one for accounting and CFO services), and then awarded a point for each feature a particular service included. As with most cloud based services, the prices of each company on this list vary, and many make prices available only through quotes that factor in your specific needs. We also recognized that each service is unique, as is each business, so instead of breaking ties, we simply let the ties be. 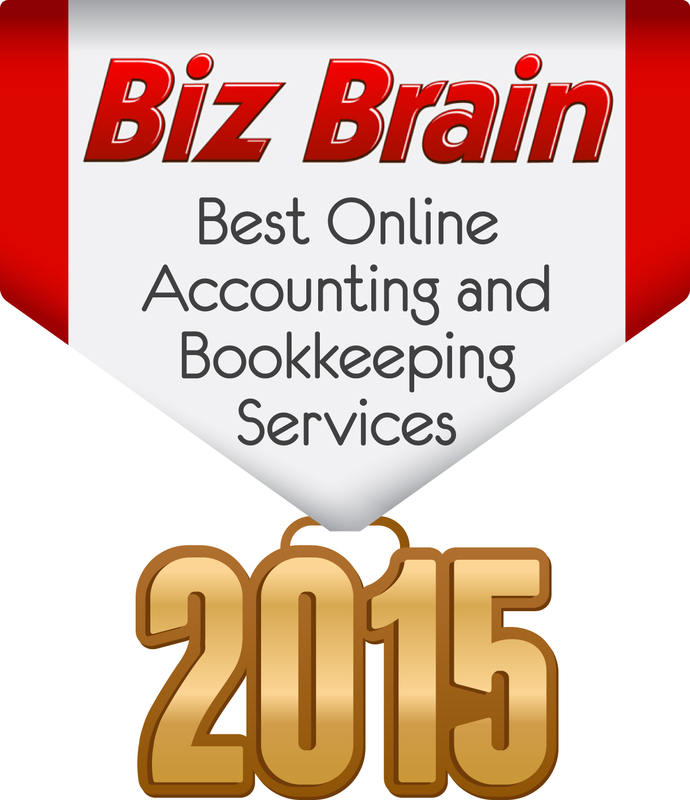 Look at this list of the top ten online accounting and bookkeeping services as a guide. Each of the individual services caters to specific needs. Your company may need full service firms, and this list has them. You may just need bookkeeping services, preferring to retain a CPA closer to home, this list has services that will meet those needs as well. Below is the list of the ten features upon which we measured the service of the firms on this list. Managing and hosting your software licenses and software.